The four cases consolidated into Brown v. Board of Education, the landmark 1954 U.S. Supreme Court desegregation decision, included South Carolina’s Briggs v. Elliott. Advocates in South Carolina continue working to realize the dream of Brown: equal educational opportunity. 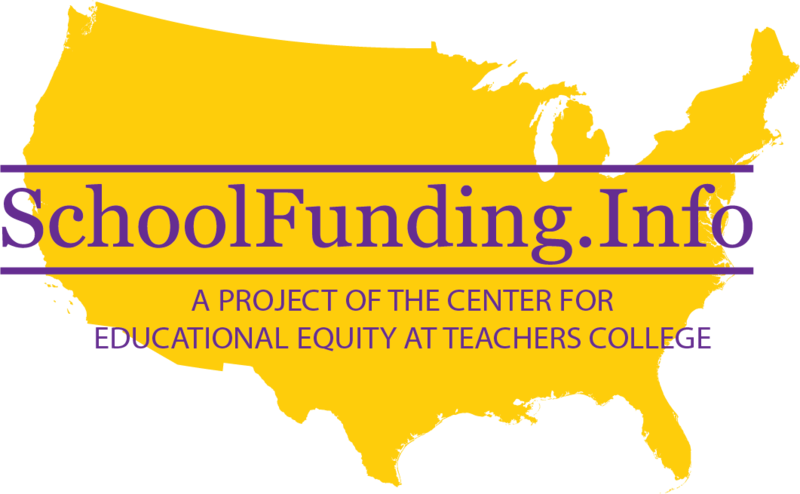 In 1988, the South Carolina Supreme Court affirmed a circuit court’s dismissal of a lawsuit challenging the constitutionality of the state’s public school funding system in Richland County v. Campbell, 364 S.E.2d 470. That case claimed the system was inequitable based on major disparities in per-pupil spending between high- and low-wealth school districts. Despite this precedent, in 1993, almost half of South Carolina’s 91 school districts sued the State, alleging that the education finance system violated the state and federal constitutions and a state funding statute. The trial court granted defendants’ motion to dismiss, but the South Carolina Supreme Court, in Abbeville County School District v. State, 515 S.E.2d 535 (S.C. 1999), distinguished its earlier Richland County decision, upheld plaintiffs’ “adequacy” claim based on the South Carolina education clause, and remanded the case for trial. graduation rates that vary between 33% and 57. Plaintiffs, represented by Nelson Mullins Riley & Scarborough, also presented witnesses who testified about educational programs, such as high-quality preschool, quality teaching, and early literacy interventions, which have proven track records of success and would, plaintiffs contend, greatly improve student outcomes – if the districts had adequate funding to provide them. Defendants argued that students in these poor districts are making the same steady progress as students in other parts of the state and urged the court to reject plaintiffs’ allegations. Counsel for the state defendants argued that although the state has set academic goals for students, those goals exceed what the state is required to fund, which is only a “minimally adequate” education. In December 2005, the trial court the court found for defendants on plaintiffs’ claims of inadequate teaching quality and inadequate facilities (Abbeville Co Sch. Dist v. State). In the same decision, however,  Judge Thomas W. Cooper, Jr. held that poverty directly causes lower student achievement and that the state constitution imposes an obligation on the state “to create an educational system that overcomes . . . the effects of poverty.”  The court described a “debilitating and destructive cycle” of poverty and poor academic achievement for low-income students “until some outside agency or force interrupts the sequence.”  Based on expert testimony from both plaintiff and defendant witnesses, the court concluded that “it is essential to address the impact of poverty as early as possible in the lives of the children affected by it.”  Therefore, the court ordered “early childhood intervention at the pre-kindergarten level and continuing through at least grade three” to minimize “the impact and the effect of poverty on the educational abilities and achievements” of children from backgrounds of poverty. The case was appealed to the South Carolina Supreme Court in 2008. Both sides sought to overturn the aspects of the decision that held against their positions. In June, 2012, after almost four years, the court issued an order instructing the parties to re-argue the case in September and invited the parties to submit briefs explaining how legislation passed since 2005, including a series of funding reductions, may have affected the legal issues in the case. Defendants’ Abbeville Brief June 2012 and Plaintiffs’ Abbeville Brief 2012. More than six years after oral argument had been held regarding the lower court’s decision based on a trial that concluded in 2004, on November 12, 2014, South Carolina Supreme Court upheld that part of the trial court’s decision that mandated early childhood education for students from poverty backgrounds; it also substantially modified in plaintiffs’ favor that part of the trial judge’s decision that dismissed plaintiffs’ claims involving “inputs” for K-12 programs such as teacher quality and, inadequate transportation. Abbeville Co Sch. Dist. 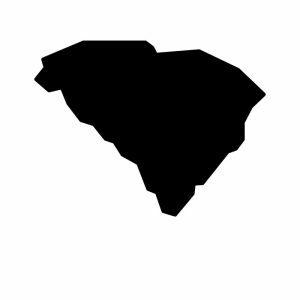 v. State of South Carolina. The decision was written by Chief Justice Toal, who was joined by two other justices; two justices filed a dissenting opinion, arguing that the majority had improperly violated separation of powers precepts. The Court dealt with the obvious mootness issue by holding that although many of the facts had changed over the past decade, “the Defendants have not substantially changed the baseline funding mechanisms. Thus, we find the Plaintiff Districts may validly argue that the overall funding scheme continues to disadvantage them in the same fundamental way.” Throughout the decision, the Court cited evidence from both the original trial and from the re-argument the Court had convened in 2012 to consider the current state of affairs. In regard to transportation, the Court cited examples of elementary school children in the small rural districts travelling more than 4 hours per day to and from school in antiquated buses that frequently broke down. Regarding teacher quality, it specifically held that the trial court’s failure to find a relationship between student achievement and the poor quality of teachers in the plaintiff districts, 38% of whom were uncertified or held substandard certifications, to be “largely erroneous.”  The Court also cited output statistics indicating the continued failure of students in the Plaintiff districts to meet state proficiency standards, although the Court also acknowledged that graduation rates had substantially improved. Jay Lucas, the newly-elected Speaker of the South Carolina House of Representatives, has now responded to the court order by establishing a bi-partisan task force composed of legislators, business representatives and educators from the trial and plaintiff districts to devise a solution. On September 24, 2015, In response to a motion filed by the plaintiffs, the Court released an interim order  that set up a three-person expert panel to analyze potential solutions for the problems highlighted in the court’s decision and to review and advise the court on the defendants’ plan for ameliorating these problems. The Court ordered that a copy of the defendants’ plan and expert panel analysis be submitted by March 2016. These documents will be used to issue a final decision. On Nov. 5, 2015, responding to motions from both parties, the Court issued a further order, modifying its September order, that requires the State to file a formal report at the end of the 2016 legislative session to inform the court of its progress on developing a remedy and a timetable for its implementation. The legislature submitted a joint legislative report to the court on June 29, 2016. In the report, the Speaker of the House and the President Pro Tempore of the Senate listed several hundred million dollars in increased appropriations the legislature adopted during the session, including a number of categorical programs aimed at high poverty districts and a number of bills aimed at restructuring aspects of the administration of the education system. Plaintiffs submitted a reply in late July that stated that most of the new appropriations were state-wide increases that benefitted all school districts and from which the plaintiff districts would receive only a small share and that the other reforms constituted scattered items that nowhere compared to 19 pages of specific reforms recommended by the House Task Force. On September 20, 2016,the Court issued an Order that praised the work and detailed recommendations of the House Task Force, noted that the legislature had enacted four bills in the last session that incorporated some of the Task Force’s recommendations as well as other reforms, commended the legislature on their work to date, but rejected the defendants’ call for the court to end its jurisdiction, and ordered the parties to submit further reports on progress toward resolving the issues the Court had identified in Abbeville II by June 30, 2017. The majority’s brief opinion stated that the General Assembly had responded in good faith the Court’s mandate by adopting “numerous legislative initiatives, as well as increased funding for students.” The dissenters would have maintained jurisdiction over the case until the defendants completed a thorough study of the current education funding formula and had identified the fruits of their labors to the court. According to the Charleston Post-Courier, since 2014, the legislature has increased funding for the schools by about $600 million, expanded a full-day pre-kindergarten program for four- year- olds that is now operating in 64 of 80 school districts, and funded $56 million for building improvements–but the bulk of the additional money was not specifically for the poor, rural districts that sued.